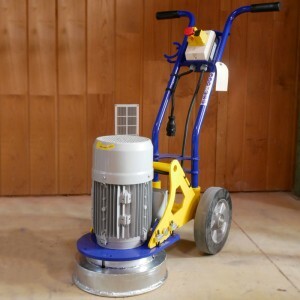 This bush-hammer machine has a 2.2 kW motor and operates on 220 V for a working width of 270 mm. 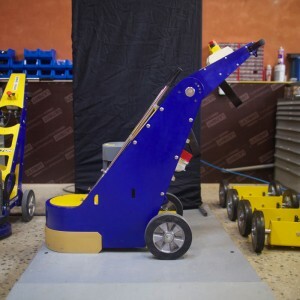 It can drive plates up to 270 mm (11’) plates thanks to its 2,2 kW single-phase motor. The SH270MLC can drive plates up to 270 mm in diameter thanks to its 2,2 kW single-phase motor with double capacitor. The SH320T is a grinding machine manufactured in France and driving 320 mm (12’6”) plates with a powerful 5,5 kW three-phase motor. The TH500 has two heads (2 x 250 mm) allowing a working width of 500 mm.